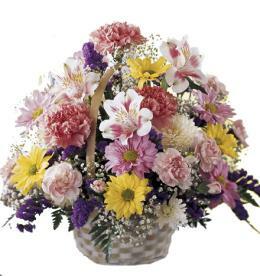 A lovely surprise for sure! 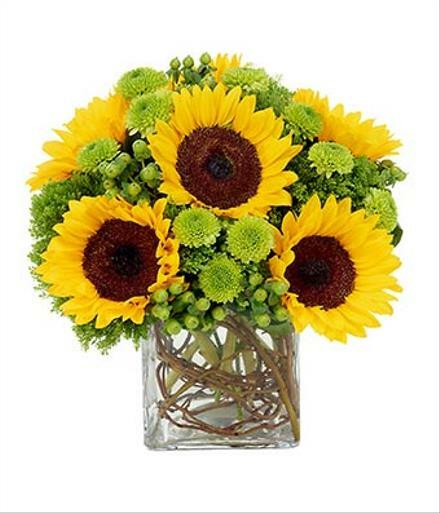 Sunflowers are the feature of this floral masterpiece. 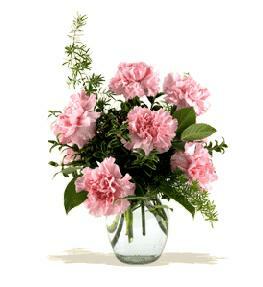 Includes green poms and green hypericum in a clear cube container with curly willow inside. 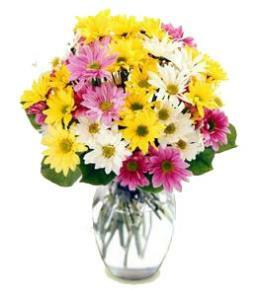 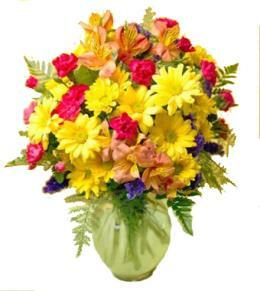 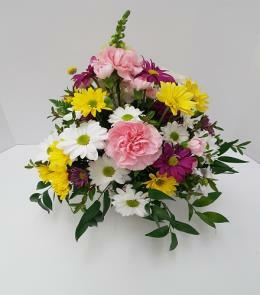 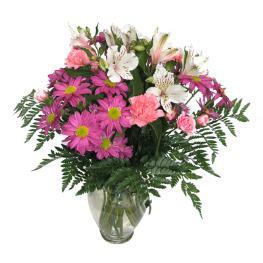 Florist Notes: Order early to allow time for all of these flowers to be brought in for your order.